Hello! We want to answer your every last questions. Below are general questions, as well as health related questions. If you don’t find all of your answers here, please do not hesitate to reach out to us in the office. How will my daughter travel to camp? There are several travel options for campers. Some girls are dropped off by their parents by car, others take the camp bus (departing from one location in NYC and one in Westchester County), and others fly to area airports. For campers arriving by plane, we will arrange for a staff member to meet the camper at the airport. More information about travel can be found in our Parent Guide. Would you like to watch a short video about traveling to camp? Click here. What will my daughter eat at camp? We have an awesome full-time kitchen staff that prepares three hot meals a day. The menus are full of kids’ favorites like pizza, tacos, hamburgers and chicken. Of course we know that kids like choices, so we always have yogurt, fruit and cereal (available at breakfast), as well as a salad bar in the afternoon and evening filled with many delicious and healthy options. We are capable of accommodating your daughter’s special dietary needs such as vegetarian, gluten-free, lactose intolerance and nut allergies upon request. Please contact us to further discuss your daughter’s special dietary needs. Would you like to watch a short video about food at Camp Jeanne d’Arc? Click here. What should my daughter pack? Keep in mind that camp is all about play! Your daughter will be very active at camp, clothes should be designed for this. We ask all our campers to wear closed-toe shoes around camp; flip-flops and sandals are allowed only at the waterfront. Clothes may get messy or wet, so nothing should be sent that cannot be replaced. We ask each camper to bring her camp uniform to be worn on certain occasions throughout the summer. For more information, please see our Packing List. Would you like to watch a short video about packing for camp? Click here. Do you allow electronics? Phones? Laptops? We are a NO TECH ZONE at Camp Jeanne d’Arc! Part of the camp experience is “un-plugging” and enjoying nature and friendship. For this reason, we do not allow campers to have any electronic device that may be used to play video games, watch television or movies; nor do we allow them to have cell phones. What we do permit the girls to keep in their cabins are music only devices, like Mp3 players. Remember that while these are allowed, we do not encourage campers to bring expensive and irreplaceable items with them to camp. If you have questions about a specific device, feel free to ask us! How will I communicate with my daughter? 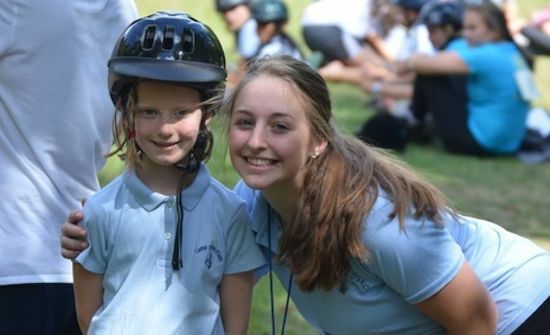 At JDA we believe that campers do best when fully immersed in the camp experience. We do not generally allow phone calls between campers and home. However, we strongly encourage you to keep in touch with your camper through postal mail and Bunk1 (our email communication system). Care packages are welcome, though we do ask campers to open packages with a staff member so that any food can be put away in a safe place, away from critters. More information on Staying in Touch can be found here. What kind of medical care do you provide at camp? At camp, we have at least one full-time nurse (24/7) and occasionally a doctor on site. We also have a working relationship with a local pediatrician’s office. For more specific medical questions, see the Health FAQs below. Do you honor requests for specific cabin mates? We love happy campers! We encourage you to communicate with our staff about cabin preferences on your registration form. Please understand that we cannot fulfill every request. Cabin placement is done carefully by our staff, keeping the best interests of every camper in mind. All input is appreciated and considered but no request can be guaranteed. All cabins are grouped according to age/grade and we are unwilling to make any exceptions to this particular rule. It makes for a much happier camp. Must you practice a certain faith or religion to attend Camp JDA? Absolutely not! We are a camp of inclusion, acceptance and respect. On Sundays we provide an opportunity for campers to build their faith but we also provide a non-religious option. Campers are asked to choose one of the following 1-hour activities: 1) Non-religious Inspirational Service, 2) Catholic Mass or 3) Bible Stories. At the end of camp fire each night, we recite the Lord’s Prayer together. How do you treat head lice at your camp? Nobody wants to come home from camp with lice! In order to avoid the spreading of lice, we screen every camper within the first few hours of arrival. If you camper arrives to camp with lice, we will begin treatment immediately. The charge for treatment is a minimum of $85 for the cost of the treatment. We encourage all campers to use good lice management practices such as not sharing hair brushes and limiting head to head contact. If your child’s school has sent home a lice notice within the last 6 months, it is mandatory to have her checked by a lice professional within the week before coming to camp. What will you do if my daughter is homesick? Keep in frequent contact, positive encouraging letters are best. Tell her that you are proud of her for conquering a challenge and ask her about new friends and skills. Encourage her to stick with it. Knowing that you have faith in her will help her get through the initial homesickness. Although it’s hard not to bargain with our kids, it’s important to refrain from telling your daughter that you will come and get her “if…” If your daughter knows that you will come at the drop of a hat, she will be less willing to really engage herself and overcome her homesickness. This is a huge life lesson. Is there a boy’s camp close to Camp Jeanne d’Arc? Yes, Camp Lafayette is our boy’s program that runs during the last 3 weeks of the camp season (second half). Camp Lafayette is completely separate from Camp Jeanne d’Arc. Find out more about Camp Lafayette. Still have a question that wasn’t answered? What if my daughter gets sick at camp? If your daughter becomes sick at camp, she is brought to The Nest (the camp infirmary building). The nurse will tend to your daughter according to standing orders approved by our local overseeing doctor. Medication will be administered if needed. These are the medicines that are listed and approved on your health form. Your daughter will be watched over by the nurse until she is feeling better and is approved to return to normal activities. Most illness at camp can be cured with a little rest. If the nurse feels it necessary to have your daughter seen by our local doctor, you will be informed and a member of our senior staff will accompany her to the doctor. You will be notified of any developments in a timely manner. If a hospital visit is necessary, your child will be taken to the CVPH Medical Center in Plattsburgh, NY. We will always attempt to contact you and/or your emergency contact before seeking off-site medical care for your daughter. The only exception to this is in the case of extreme and sudden injury or illness, when our first call will to be 911. My daughter told me in a letter that she didn’t feel well. Why did no one call me? Sometimes homesickness, (especially within the first few days of camp)…can cause you to have a stomach ache or headache. Usually by the time you’re reading the letter she mailed from camp, she has overcome her homesickness and having a blast at camp with her new friends! When can I expect to hear from the nurse? The nurse or director will call you if your daughter comes to The Nest more than once with the same symptoms, if there is a question about her medicine, or if she is sick or injured in such a way that she requires a trip to the physician’s office. When and how will my daughter get her medicine? During camp check-in, all camper medications are taken to the Nest for storage. Medicine is kept locked at all times, and is administered by the camp nurse at the appropriate time. With few exceptions, no medicines are kept by campers and self-administered during the camp session. All medicine administration is documented, and this documentation is available if needed. NOTE: ALL MEDICATIONS, VITAMINS, SUPPLEMENTS MUST COME TO CAMP IN THE ORIGINAL CONTAINER OR IT WILL NOT BE ADMINISTERED TO THE CAMPER. How will anyone know my child has medical needs? Before camp starts, our nurse will have reviewed all health forms to know who will be receiving medications. Please feel free to call or email the director if you would like to speak to the camp nurse. How will the counselors know my camper needs to take medicine? During camp training, counselors will be informed of all girls with special medical needs, including those who need to take regular meds while at camp. What if my camper forgets to take her medicine? Our nurse delivers morning, noon and dinner medicines during meals in the Hearth and keeps track of all medications. If your camper requires medication before bed, she will be escorted to The Nest just before “light’s out”. If she missed her visit to the nurse, the nurse will send a messenger to retrieve her. Your daughter’s medication will not be missed. Can my camper keep their medicine in their cabin and take it themselves? No, the only medicine a camper may keep is a rescue inhaler or a prescribed Epi-Pen. Everything else must be turned over to the nurse at check-in, without exception. Campers who may require a rescue inhaler or Epi-Pen are allowed to carry this medicine with them, but they must carry it themselves and must know how to use it correctly. It MUST be included on the health form, must be labeled with the camper’s name and the inhaler or Epi-Pen MUST NOT BE EXPIRED. What if my child needs medicine that I didn’t send to camp? On the health form is a list of all the non-prescription medicine kept in The Nest. You do not need to send any of these medications, as we keep a sufficient quantity on hand. Your child’s doctor must have signed the health form in order for these medications to be administered. Sometimes situations arise when it is necessary for a prescription to be started during camp. If this occurs, you will be notified. What if my child gets sick and needs to come home? Our goal is to try to keep campers at camp, but sometimes it’s in the best interest of your child and other campers for her to go home. If your child is likely to be sick for an extended period of time, we ask that you come get her and take her home. This is VERY rare; however, if you will be out of town, your emergency contact (listed on your daughter’s health form) should be aware that this duty would then fall to him/her. Except in the case of severe and sudden injury, we will be in contact with you long before the need arises for your daughter to be taken home. What if my camper gets hurt? There are first aid kits located in all buildings around camp. When groups go for overnight trips, the leader carries a first aid kit. Our nurse is available 24 hours a day to respond to any situations that may arise. All groups leaving camp property are accompanied by at least one staff member with first-aid training. Finally, preventative safety measures are discussed with all campers the very first day they arrive. What are some common injuries seen at camp, and how can they be prevented? By far the most common injury seen at camp is a foot or ankle injury; this is why the shoes you send to camp are extremely important, especially for hikers! Insect bites are also common despite our staff being vigilant about reminding girls to wear bug spray. Most cases are minor but some girls do react more severely to insect bites than others. Please encourage your daughter to wear bug spray, and practice applying it at home — girls must apply their own, as staff can only encourage and remind them to do so. What are some common illnesses and how does camp prevent their spread? We make sure campers are drinking enough water, eating enough healthy food and getting enough rest at camp but sometimes cold symptoms appear. Campers and staff are encouraged to wash their hands frequently, and apply hand sanitizer before entering the dining area. Sick campers are brought to the nurse and, if necessary, isolated in The Nest or sent home. We follow the NY State Health Dept. guidelines for the treatment of infectious diseases. How can I contact the Camp Jeanne d’Arc Health Director? 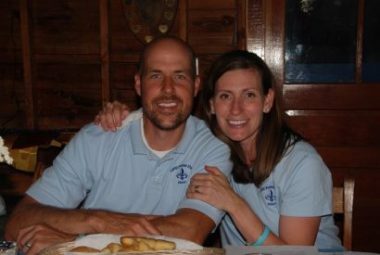 Please contact the Director at sandy@campjeannedarc.com or on her cell phone at 704-936-7459 and she will have the camp nurse contact you as soon as possible. Camp changed my life. I know that sounds so cheesy, but since I was 10 years old, it has changed who I am for the better. Each summer I go to camp disconnecting from the outside world is hard, but it makes me realizes my true values. Sandy and Randy (JDA directors) are awesome. They want every girl to learn and grow as human beings. Their passion and love for camp is undeniable. They truly make camp feel like a home away from home.